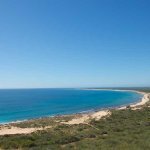 Exmouth is a remote coastal area located on the North-west cape of Western Australia and is a superb gateway to a variety of amazing diving experiences. Discover world renowned dive sites including the World Heritage Ningaloo Reef, the Exmouth Navy Pier and Muiron Islands. The waters surrounding Exmouth are home to some amazing dive sites. 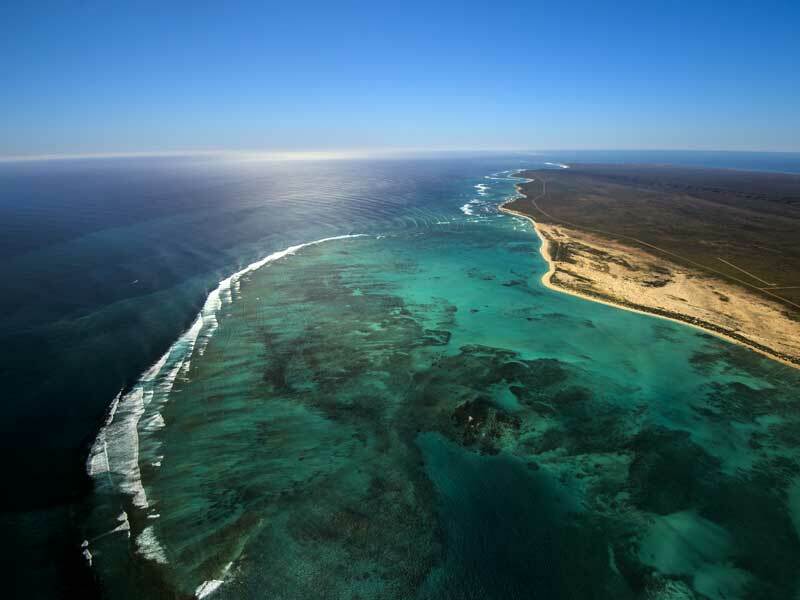 The Ningaloo Reef alone extends over 300 km and is one of the largest fringing coral reefs in the world. Its diverse marine environment is home to over 250 hard corals and 500 different fish species. Discover breath-taking coral reefs, deep ocean pinnacles and enjoy amazing marine encounters with Manta Rays, Turtles, Whale sharks and more, this region offers a truly unique diving experience. The Exmouth Navy pier is rated as one of the top ten land based diving sites in the world. 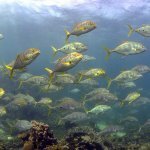 This dive site Is renowned for large marine life such as barracuda and big-eye trevally, in the winter months nurse sharks and a variety of colourful reef fish. With a maximum depth of 15 metres this dive site is suitable for all experience levels. 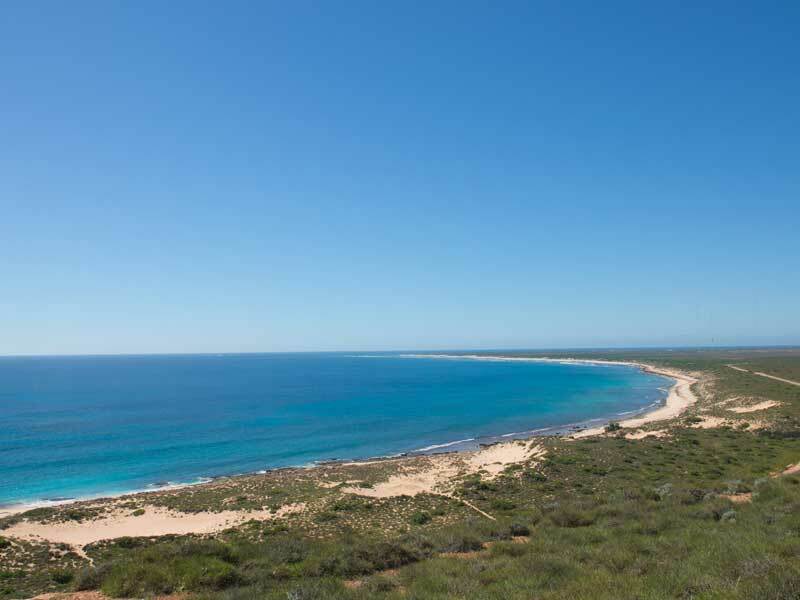 At the top of the Ningaloo reef is Exmouth’s Lighthouse Bay. 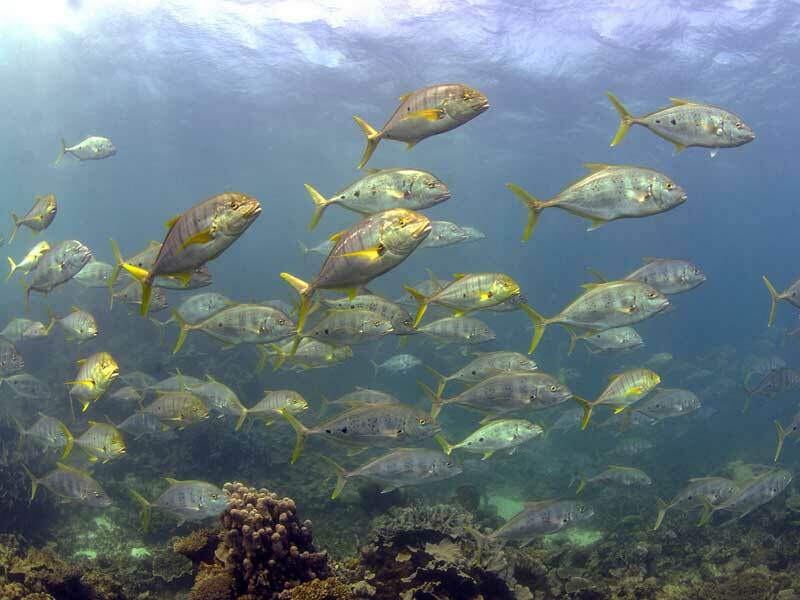 With an extensive variety of larger fish species such as trevally, spangled emperor, giant groper and white tip reef sharks along with its pristine coral formations the dive sites at Lighthouse Bay are vastly popular. 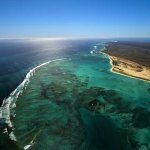 Located off the tip of Exmouth’s north west cape the Muiron Islands are filled with marine life and beautiful coral gardens. With gentle currents and a vast amount of underwater life and terrain to explore this is a perfect spot to dive for both beginner and experienced divers. Other sites include:The Spit, Sponge Gardens, 5 Mile Reef. It is possible to dive all year round on the Ningaloo Reef and the Whale Shark season is March to June. The best diving conditions can be experienced between August to December with the wet season usually in May and June. Exmouth has a variety of accommodation options to choose from. For insider tips where to stay and a tailor made diving experience call our Active Travel Experts on 0800 555 035 to discuss your requirements.